Find your wedding accessories at our bridal boutique. Our assistants have a wealth of knowledge in the wedding industry, and they can help you source everything fashion related for your wedding. Whether you need a wedding veil, or an amazing pair of bridal shoes, we have several options for you to choose from. Located in Orrell, Wigan, our boutique stocks a range of designer dresses and accessories to guarantee that you feel fabulous on your wedding day. At Melissa Marie Bridal Wear, we have a collection of stunning tiaras and veils by designers such as Richard Designs™ and Linzi Jay. Plus, as affordability is important, we supply these accessories at excellent prices. such as Linzi Jay too. At times, it can be frustrating to find accessories to match your wedding and bridesmaid dresses. However, at our boutique, our assistants can source stunning accessories that match your wedding dress perfectly. 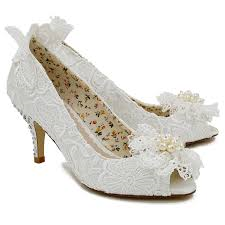 Contact us in Orrell, Wigan, when you want to purchase fabulous accessories including wedding veils and bridal shoes.